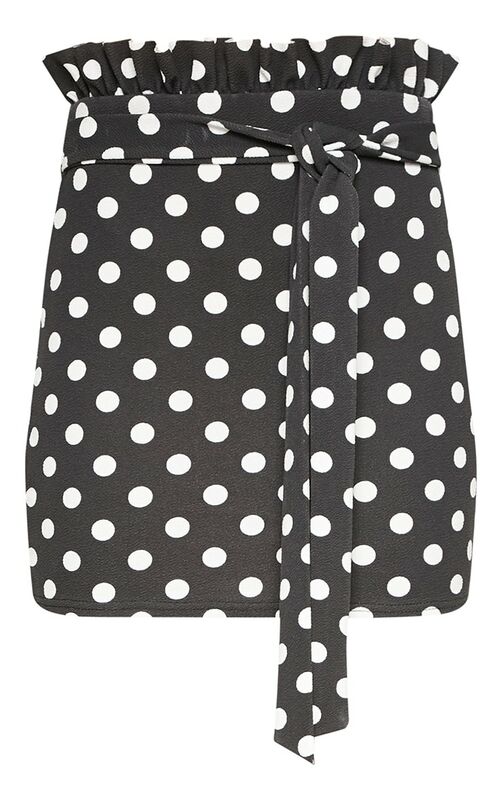 Join the polka dot trend with this mini skirt girl. 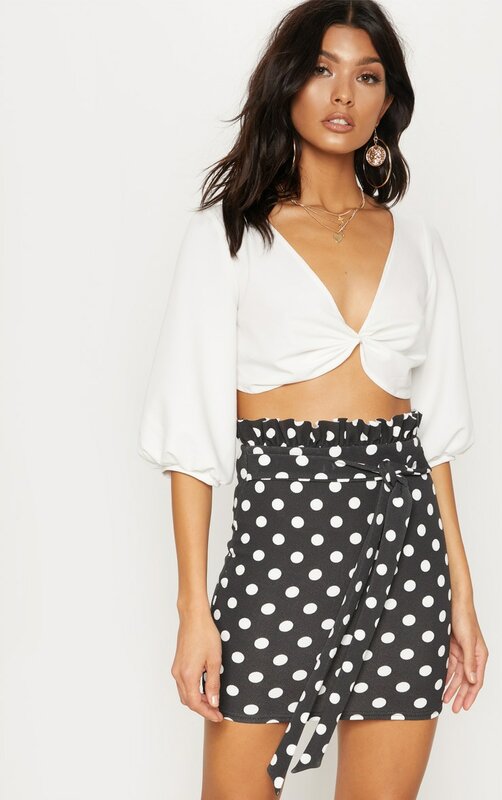 Featuring a crepe material with a black and white polka dot print, paper bag waist and body-skimming fit. Team with a white bardot crop top and lace up sandals for the perfect vacay vibes.